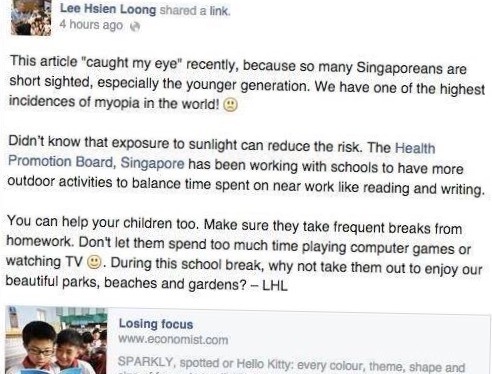 Singapore is one of the myopia capitals of the world. 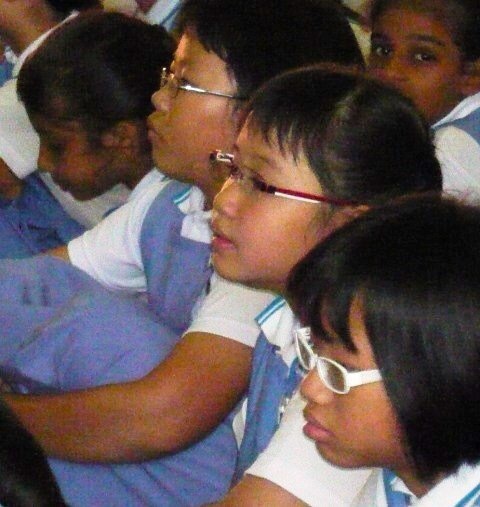 Myopia, or shortsightedness, affects many school-aged children in Singapore. Children need to get their eyes checked regularly. Myopic children can also seek interventions for myopia control – examples include special glasses, contact lenses and eye drops. Most of these treatment work best in younger children around six to 18 years old, but they may be less effective in adults. Children suffering from specific eyestrain can also benefit in pursuing Vision Therapy. The two basic causes of myopia are genetic and environmental such as poor eye care habits, reading under poor lighting conditions and poor diet. While myopia is not reversible, we can manage and prevent the increasing incidence of myopia in our children through better eye care and visual hygiene. Some children may be predisposed to develop myopia because both their parents are shortsighted. High myopia is strongly linked to genetics and it is supported by evidence from research involving twin siblings. However, myopia development is a very complex issue because both environment and genetic factors are involved together. Children may be exposed to undesirable environmental factors which can trigger myopia. For example, myopia can develop in children who suffer eyestrain as they are engaged frequently and excessively near range activities, such as reading, especially under poor lighting. Such environmental factors are amendable through taking practical steps to alleviate the eyestrain. WHY ARE WE WORRIED ABOUT MYOPIA? Adults who are severely myopic carries a greater risk of developing eye problems. This includes early cataract, retinal degeneration, retinal holes, choroidal neovascularisation and myopic retinopathy. 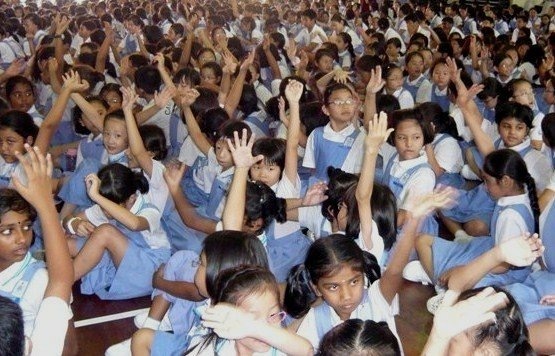 It is a concern if children are developing progressive myopia. HOW DO WE AVOID MYOPIA? Eyestrain can contribute to the progression of myopia. Having the appropriate optical prescription, taking regular breaks from near range visual activities and the use of proper lighting, are some ways to help. Your child is encouraged to spend more time outdoors! This has been associated with a reduced prevalence of childhood myopia. Current research suggests that outdoor lighting may release a retinal neurotransmitter that can inhibit the undesirable eye growth that leads to myopia progression. 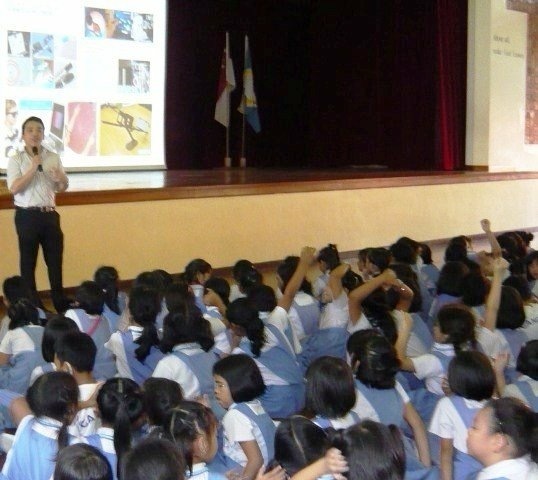 A Facebook Message from Singapore Prime Minister Mr Lee Hsien Loong: "... so many Singaporeans are shortsighted, especially the younger generation. we have one of the highest incidences of myopia in the world! ...".